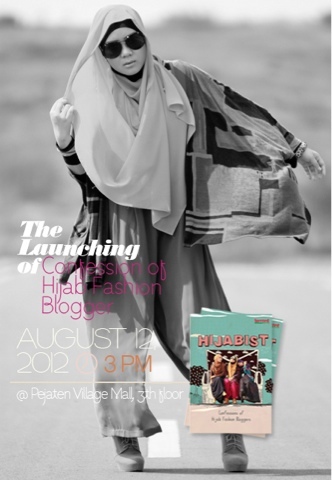 SUCI UTAMI - Productive Housewife: Book Launching "HIJABIST: Confessions of Hijab Fashion Blogger"
Book Launching "HIJABIST: Confessions of Hijab Fashion Blogger"
The launching of our book, HIJABIST: Confessions of Hijab Fashion Blogger on August 12th, 2012 at Pejaten Village 3rd floor 3PM onwards.. FOR FREE! Please come and meet up! You can also join "Buka puasa bersama Siti Juwariyah, Suci Utami and Restu Anggraini" on the event and get goodie bags from the authors and Terrant (registration needed). launchingnya tinggal menghitung hari nie..
kak suchi, hijab tutorial online nya ada?